The Elephant and Monkey Sanctuary has recently merge into one stunning property!! The Elephant Sanctuary has African elephants and offers an interactive elephant experience, and overnight accommodation. 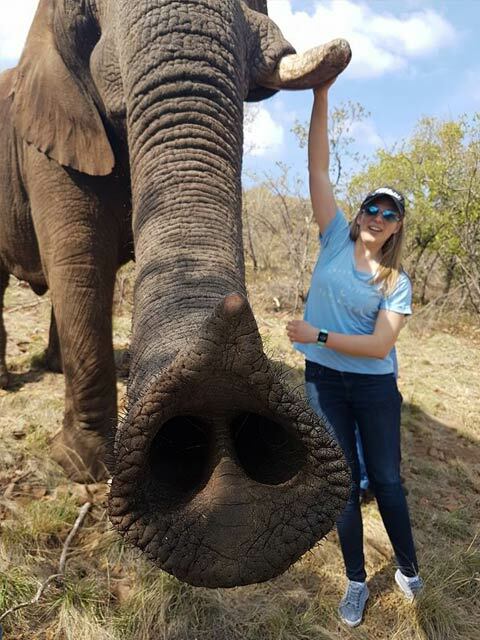 Walk trunk-in-hand with the elephants. 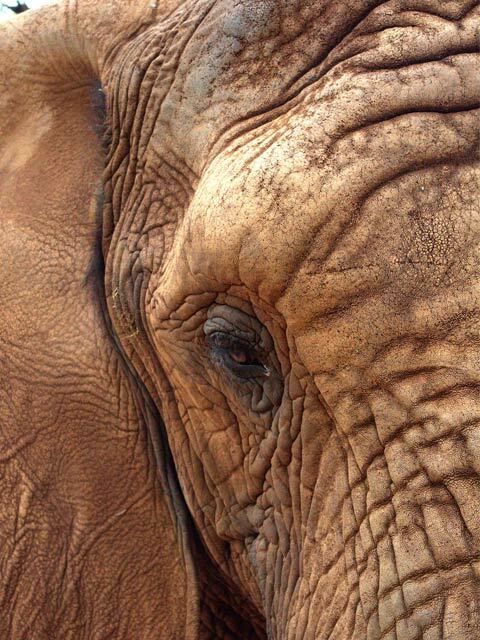 See Elephant Night Shelters where elephants sleep. 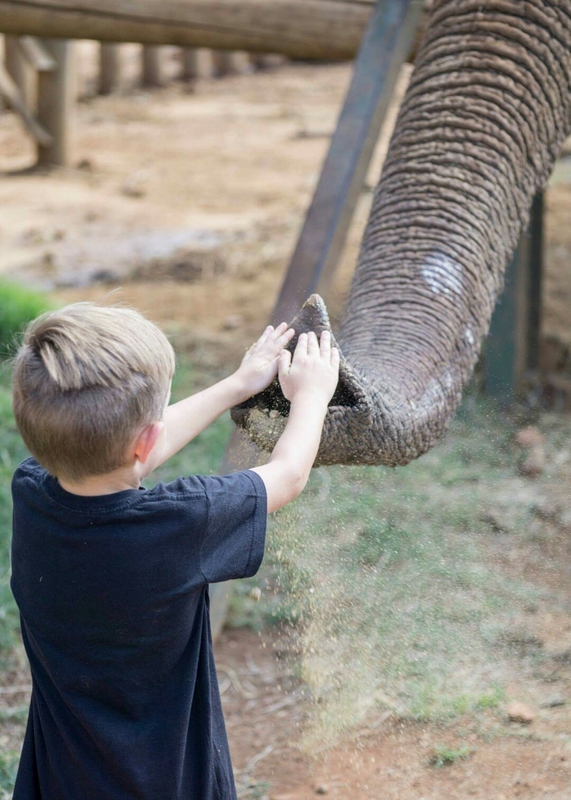 Guests learn about elephant anatomy and are able to feed them. Remember to wear flat walking shoes, sun hats and bring your camera. 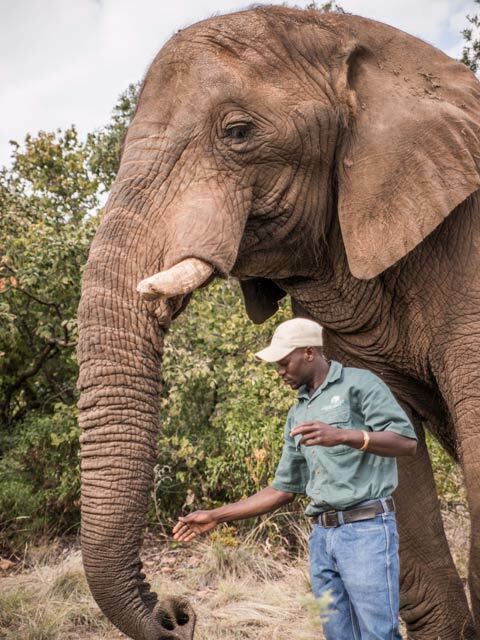 Guided interaction with elephants includes - touching, feeding, interacting and walking trunk-in-hand. Guests have the option to stay in our Tuskers B&B (www.tuskerslodge.co.za). Rates are inclusive of Bed and Breakfast only. Check in time is 14h00-16h30. Check out is 10h00 on the day of departure. Tuskers Bush Lodge is exclusive and intimate. All rooms are tastefully decorated, with en-suite bathrooms and air-conditioned. Rates are inclusive of Bed and Breakfast. In the surrounding area, there are a variety of restaurants ready for your picking. We welcome families and children of all ages. Come stay and enjoy the peace and calm that the bushveld has to offer. Excludes all Activities (discount can be given, please arrange with your host) i.e. 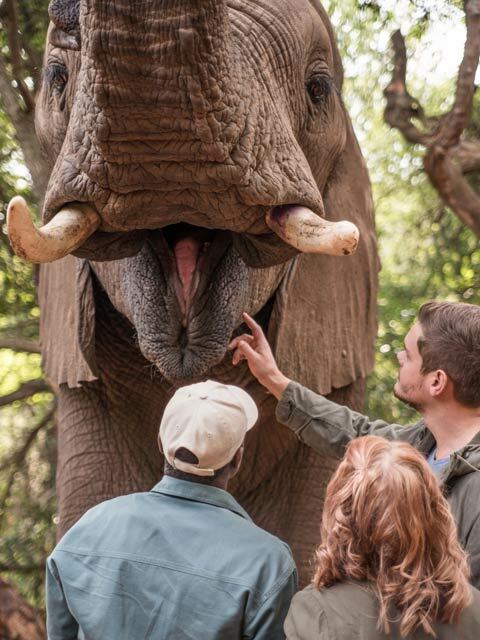 The Elephant Interaction Program as well as the Monkey tour are extra. Our Baraka Hall is situated in the Hartbeespoort Region, surrounded by natural vegetation within the Monkey Sanctuary. Baraka venue can accommodate between 20 – 120 delegates seated in various setups – boardroom, school, cinema etc. Weddings also take place in the Main Conference Hall. The Wine Cellar conference room is one of a kind, situated in the Hartbeespoort Region at the Baraka Event Centre. The Wine Cellar can accommodate a maximum of 14 delegates in a boardroom style setup. The Boardroom conference room is a simple and yet elegant room, situated in the Hartbeespoort Region at the Baraka Event Centre. The Boardroom can accommodate a maximum of 12 delegates in a boardroom style setup.